This quilt marked a huge milestone for me. It was my tenth, finished right around 6 months from when I first took sewing lessons and took off piecing, layering and binding. I started with a multi-colored polka dot print, pulling colors from it. The lovely Beth at my favorite fabric store (Rock Paper Scissors in Montclair) suggested using a red linen, and though I wasn’t sure about it, it turned out really well. I used the polka dots for the back and binding. The finished quilt measured 44″ square. 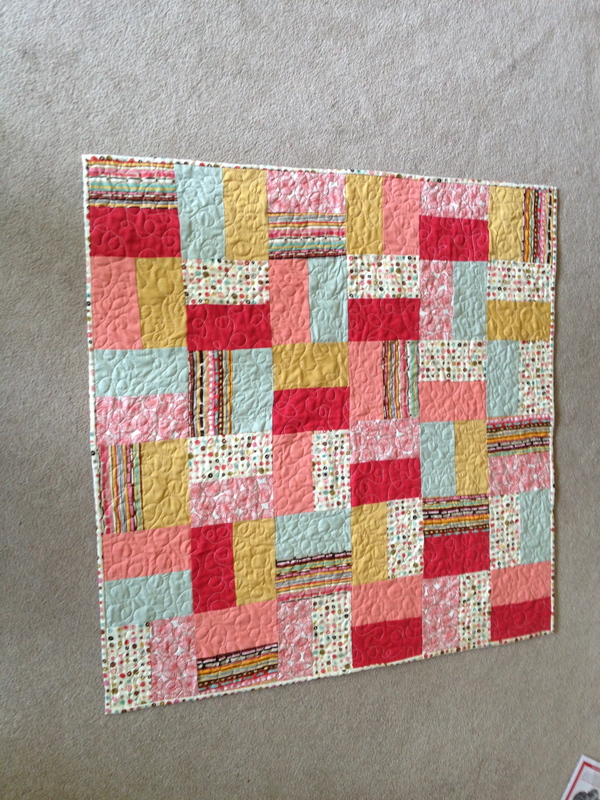 I also tried free motion quilting, this time in a loopy design, to really nice effect. I really liked working with such a colorful bunch of fabrics. Was so nice to meet you last night , i am excited to be part of a group of women with similiar interests as mine. 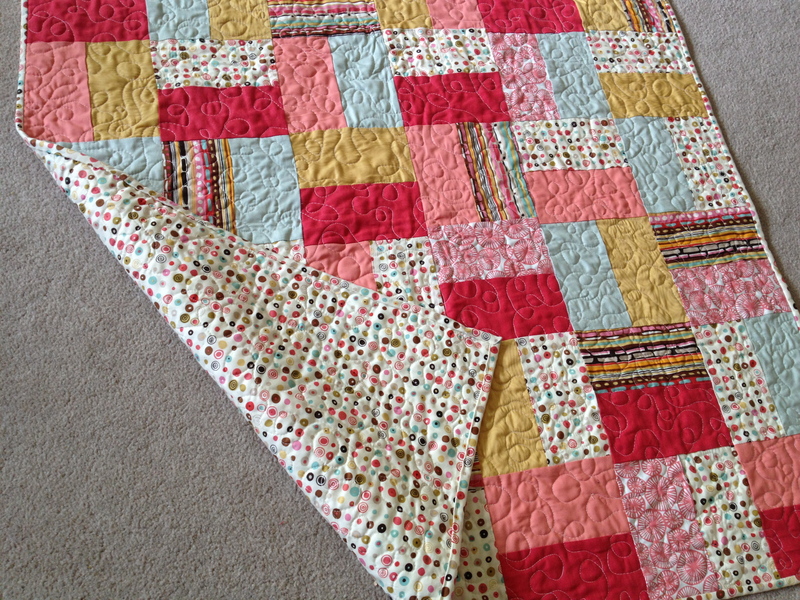 This candy quilt is lovely. 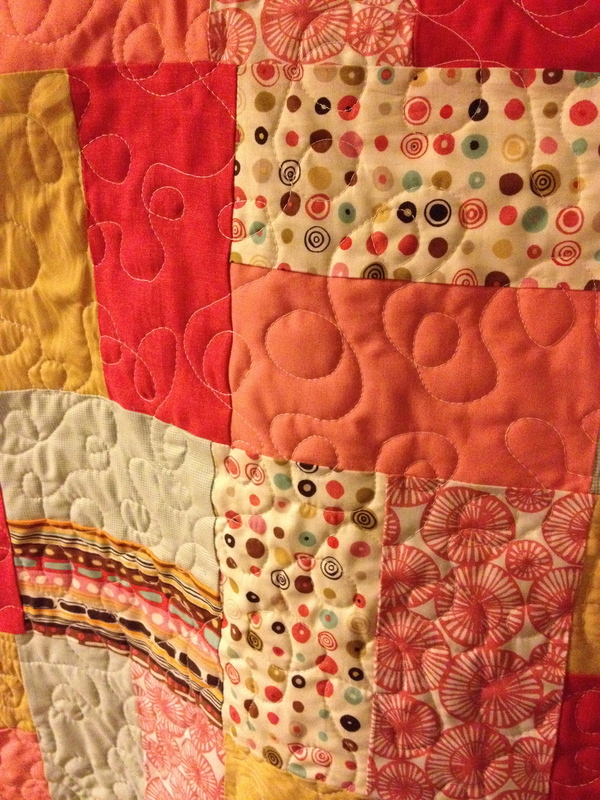 Love your loopy free motion quilting.